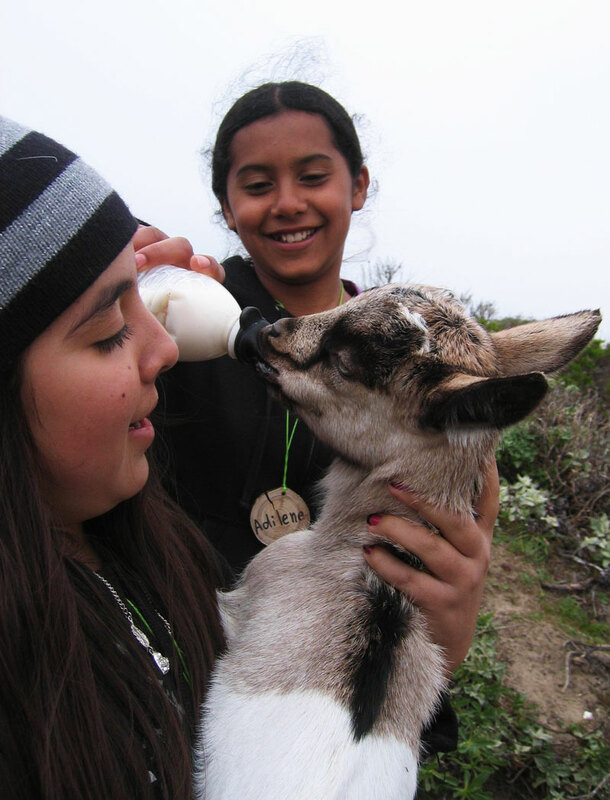 At the farm, students meet our friendly goats. Our milking goats are Orejas, Canela and Helado. We also have some new goat kids! Our farm is also home to Mr. Peterman, the llama. We also visit our chickens and search for eggs in their nesting boxes. Those chickens will eat just about anything…even the food scraps we bring them! The garden at the farm has lots of tasty vegetables growing in it. Depending on the time of year, our students get to harvest and taste broccoli, lettuce, beets, kale, onions, garlic, cabbage, turnips, carrots, squash, and much more! Students even get to learn about certain flowers that you can actually eat! 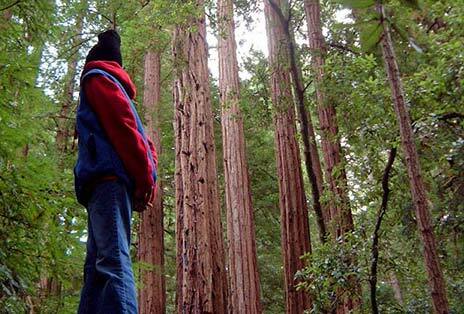 Do remember when we hiked in the redwoods? Do you remember how big and old the trees are? You and your family can come to this amazing park to hike and explore. Trees common to the redwood forest include the Coastal Redwood, Douglas Fir, various varieties of oak and California Bay Trees. Trees found on the edge of the redwood forest in drier areas include Madrone, California Buckeye, and Big Leaf Maple. The drier open areas abound in the springtime with a colorful display of beautiful wildflowers. Some of the prevalent types include Sticky Monkey Flower, Wood Rose, Sun Cup and, of course, California poppy. Many animals, although not often seen, make their home in the park. A few include deer, raccoon, fox, opossum, bobcat, woodpecker, jay, quail, garter and gopher snakes, banana slugs, and many more. From 101 or 280: Take Highway #84 (Woodside-La Honda-San Gregorio Road) west to La Honda. Turn left 1/2 mile past village center in La Honda on the Pescadero Road. The park entrance is on Pescadero Road and 6 miles from the turn-off. From Hwy. #1: Take Pescadero Road turn-off. Go east on Pescadero Road about 11 miles to the park entrance. This beautiful beach has a mile-long shoreline with sandy coves, rocky cliffs, tide pools, fishing spots, and picnic facilities. Across the highway is Pescadero Marsh Natural Preserve, a popular spot for bird watchers and other naturalists. The Reserve is a refuge for blue heron, kites, deer, raccoons, foxes, and skunks. The beach features fishing, picnicking, and beachcombing. Visitors can explore tide pools with anemones, crab, sea urchins, and other marine inhabitants. The beach also has a self-guided nature trail. Swimming is dangerous because of cold water, rip currents, and heavy surf. On the San Mateo Coast, Bean Hollow is 17.5 miles south of Half Moon Bay and three miles south of Pescadero on Highway One. It could be your favorite day! BAAA-NAAA-NAAA SLUG! SLUG! SLUG! SLUG! Won’t you blow me a kiss. Won’t you show me your slime. That means he’s also a she! Oh you slime so fine. To go just one mile! Step out and let it flow. Rain coat if you already have one. You don’t need to buy a new one! NO, LEAVE THIS AT HOME! Estos artículos están además de lo que usarán ya. Cerciórese de que usen ropas y zapatos viejos(!!) eso puede conseguir sucio. 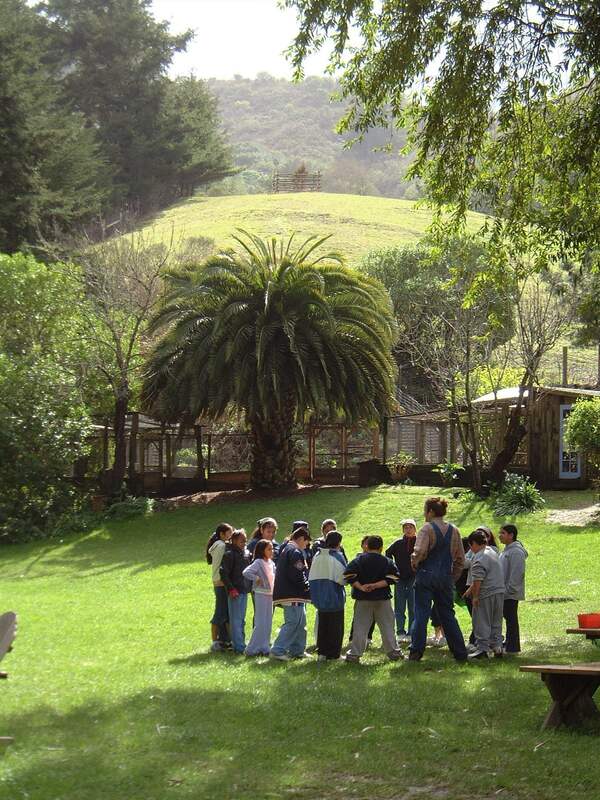 Would you like to go back to the camp where Vida Verde is located, but in the summertime, and for 6 whole days? You can! 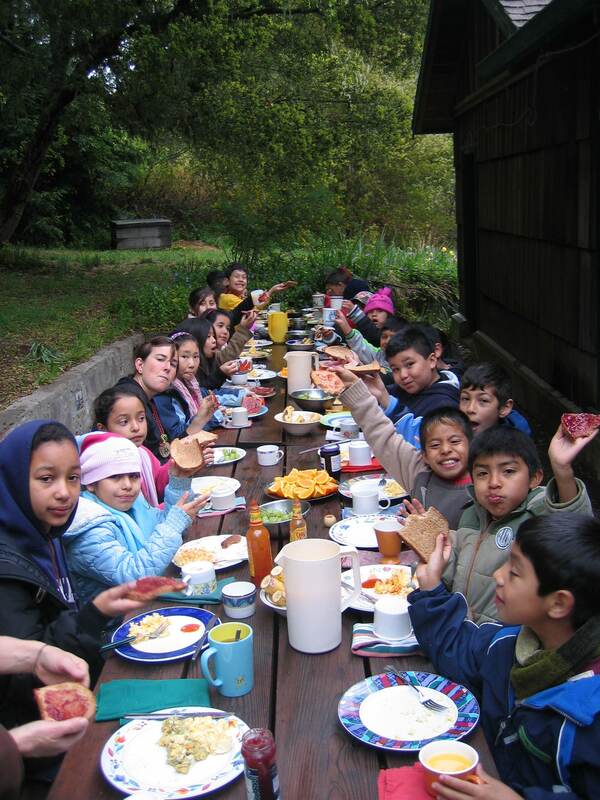 You can meet kids from all over the Bay Area, and have tons of fun doing all sorts of activities each day. And the great news is that the camp only costs $25!! If you’d like to get your class to go to an amazing 5 day camp that focuses on diversity, peace, acceptance, and leadership, you should definitely go to this website to learn about the Mosaic Project. If you’re a teenager, the Mosaic Project has some very cool leadership opportunities and jobs available for you. If you'd like to take your outdoor adventuring to the next level Camp Unalayee is the place for you! At Unalayee you get to spend two weeks in the wilderness backpacking and doing lots of other fun activities like sports, rock-climbing, crafts, and campfires - for as little as $100"
If you live in Richmond or Contra Costa County, and you’d like a chance to go to summer camp, you should check out this website. 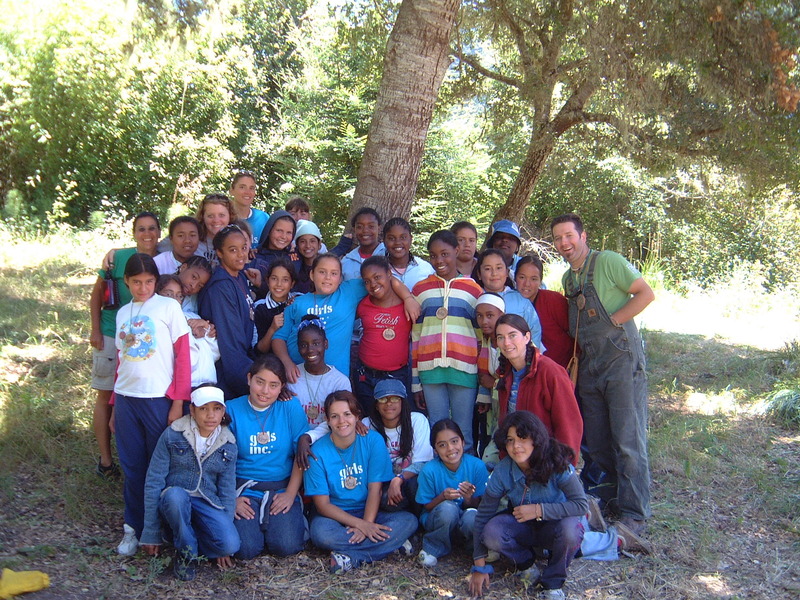 In partnership with nature, YES nurtures leaders who champion the wellbeing of our community. Hey fourth graders! See America’s natural wonders and historic sites for free. You and your family get free access to hundreds of parks, lands, and waters for an entire year. 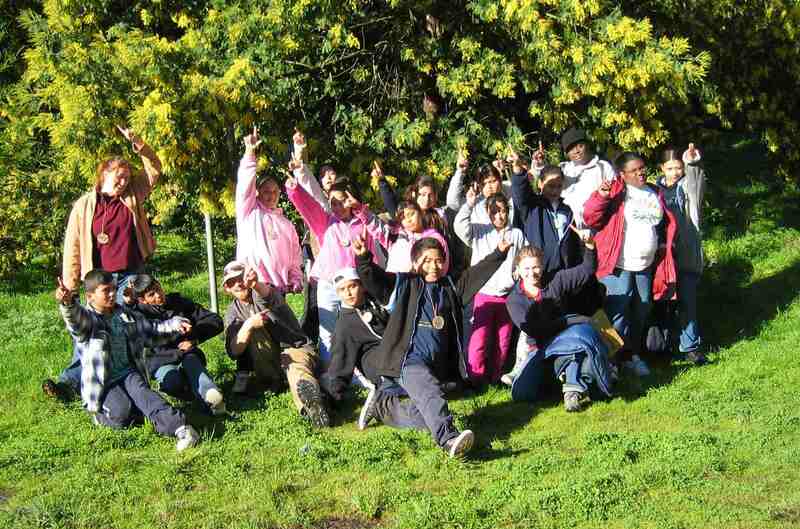 Learn more about how the Every Kid in a Park initiative that made this possible. A first of its kind, Discover & Go provides access to museum free and discounted passes, such as the Asian Art Museum, that can be printed online rather than traditional physical passes that must be picked up and returned to the library. As a Library card holder, you have access to numerous museums and cultural institutions throughout the Bay Area. 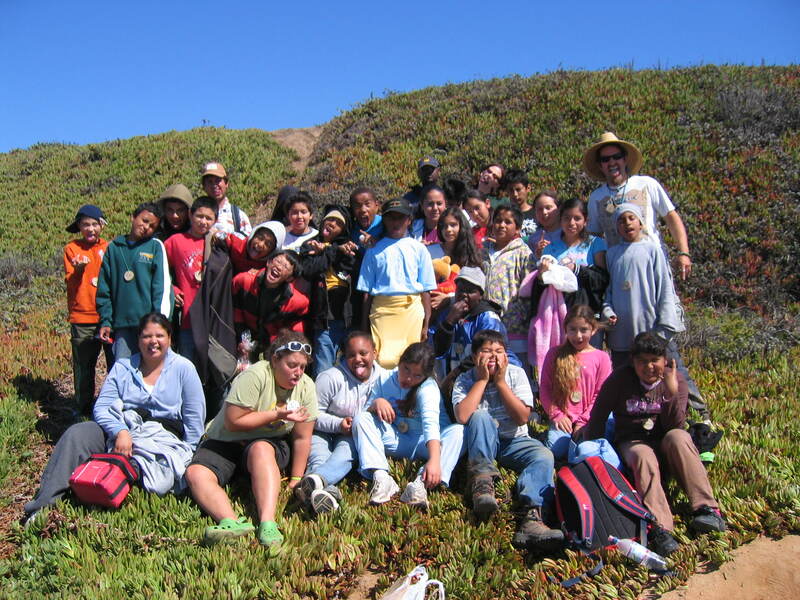 Destiny Arts is a program in Oakland that promotes peaceful solutions to conflict and violence through the physical practice and artistic expression of martial arts, dance, and youth leadership experiences. This is a fascinating museum in San Mateo where you can learn about some of the same things you learn about at Vida Verde. It has over 150 live animals indigenous to the Bay Area; a Bird Aviary containing a brook, native plants, and more than four-dozen indigenous species of birds; and much, much more! “Inspiring all girls to be STRONG, SMART, and BOLD”. If you are a girl who wants to get involved in some fun and important after-school, weekend, and summer activities, check out these websites. You can join other girls your age in classes on leadership, technology, nutrition, dance, math and science, and much more! The Oakland Museum of California brings together collections of art, history, and natural science under one roof to tell the extraordinary stories of California and its people. With more than 1.8 million objects, OMCA is a leading cultural institution of the Bay Area and a resource for the research and understanding of California’s dynamic cultural and environmental heritage. Do you live in Hunter’s Point, Hunter’s View, Sunnydale, Oakdale, or Alice Griffith in San Francisco? Would you like to meet an adult who can help you learn to solve problems, overcome fears, try new things, explore your creativity, and have a lot of fun? 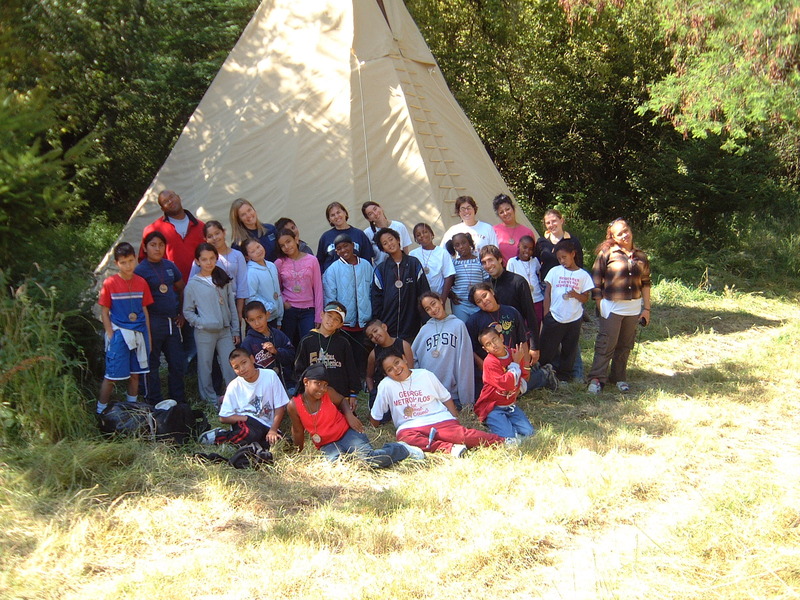 City of Dreams can help you find a mentor and give you fun opportunities in: challenge ropes courses, camping, museum visits, golfing, sailing, organic farming, skiing, and rock climbing! What if you had an opportunity to learn the skills and techniques to take people on an awesome outdoor adventure? What if you could gain these skills, have a great time learning, and take a group out on an outdoor adventure? What if you could make a difference in your community and the lives of people around you? What if you could become a leader!? Find out more at the OYC website! If you are 14-18 years old and are interested in journalism, you should learn more about Youth Radio, located in Oakland. Since 1992, Youth Radio has served thousands of teenagers by providing free, after-school training programs in broadcast journalism, radio/web production, engineering and media advocacy, and literacy. 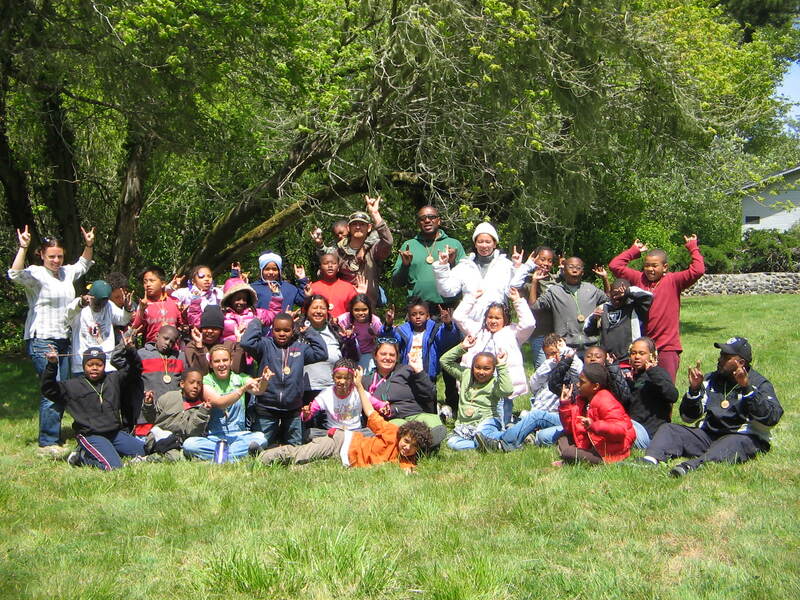 Outdoor Afro has become the nation’s leading, cutting edge network that celebrates and inspires African American connections and leadership in nature. We help people take better care of themselves, our communities, and our planet. 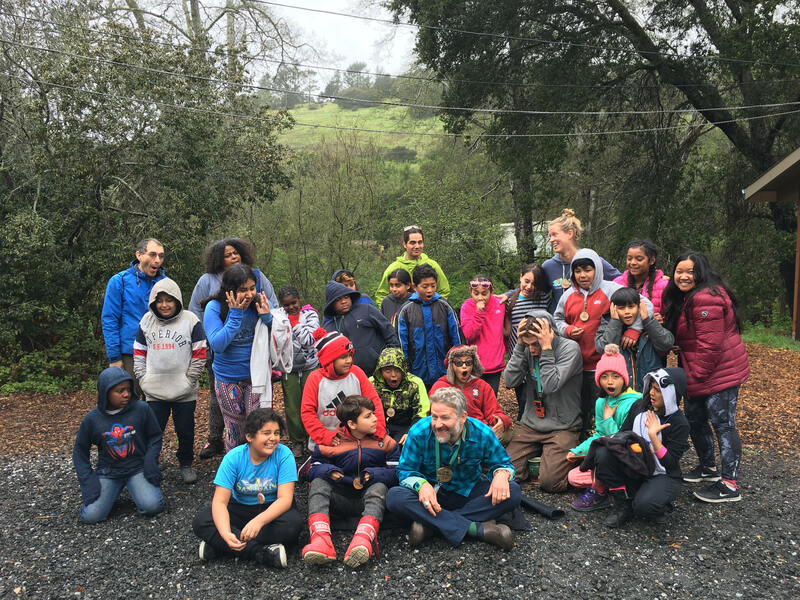 Latino Outdoors is connecting familias and youth with nature, engaging and inspiring Latino leadership, and empowering communities to explore and share their stories in defining the Latino Outdoors identity. Click on your class name from the list below to see your Vida Verde Group Photo. 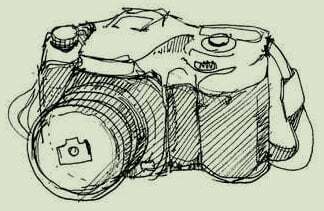 Photos are listed by the year of your visit.